Hatoful Boyfriend: Holiday Star is a Christmas-themed followup to the surprise hit. It’s always interesting to see where a developer who struck gold decides to go with a sequel to their surprise hit. Mediatonic undoubtedly knocked one out of the park with the original Hatoful Boyfriend, an irreverent dating simulator set in a high school populated by anthropomorphic birds. 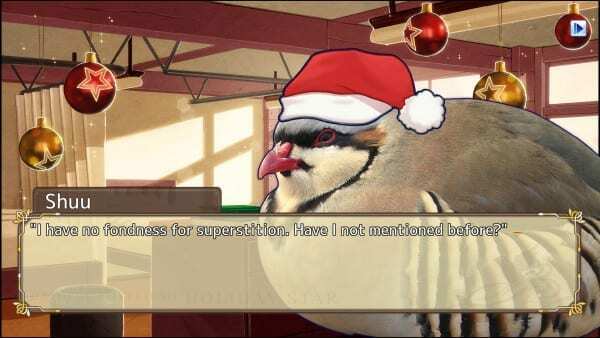 To follow this success, Hatoful Boyfriend: Holiday Star brings a thematic twist to the formula, but how well does this seasonal entry follow the first title? One of the things that players and reviewers highlighted about the first Hatoful Boyfriend was the fun, light-hearted story that still managed to contain a surprising depth. Filled with player choices that impacted play, the title was praised for its replay value and emotional tale. Unfortunately, Holiday Star all but removes a huge piece of this, playing out as a much more linear visual novel. What Holiday Star keeps from its predecessor is the offbeat humor and distinctive art style, both of which are still pretty great. 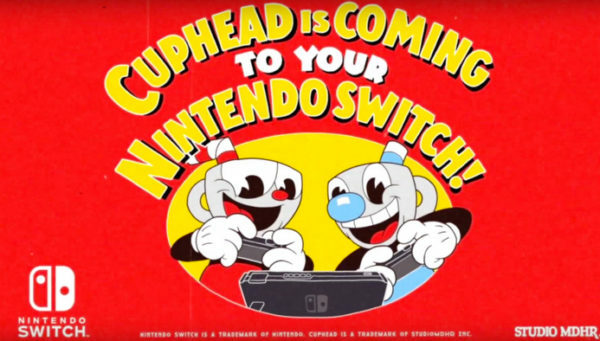 Those who didn’t get a chance to play through the original will miss out on a lot of subtle nods and context, but it’s not a required play to get something out of it. Still, the lack of player choices and overall interaction falls flat in many ways, so if you’re not all in from the previous game, you may not find a lot here to love. While I wasn’t necessarily disappointed by Hatoful Boyfriend: Holiday Star, I’ll say that it felt a bit lacking in comparison to the previous entry. While the first game featured an over-arching storyline that held together, Holiday Star is broken into several individual chapters, making the play feel a bit disjointed as you progress. The Christmas theme makes for some sense of continuity, there’s little to no real connection between each of the game’s chapters. 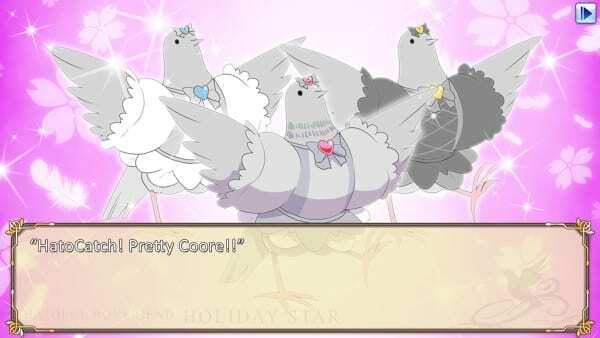 As a standalone game, Hatoful Boyfriend: Holiday Star is a relatively solid visual novel. The linear progression is pretty typical for the genre, and there’s still the wacky fun that inspired a lot of the love for the original title. Unfortunately, by removing many of the other things that made Hatoful Boyfriend so wonderfully unique, it comes up short as a sequel. The player’s lack of choices that mean anything, and the segmented stories, fail to live up to expectations. Fans of Hatoful Boyfriend are still likely to find some fun, emotional moments tucked away in Holiday Star. If you haven’t played the original and aren’t a die-hard fan of visual novels, though, I can’t say this is where you should break in. 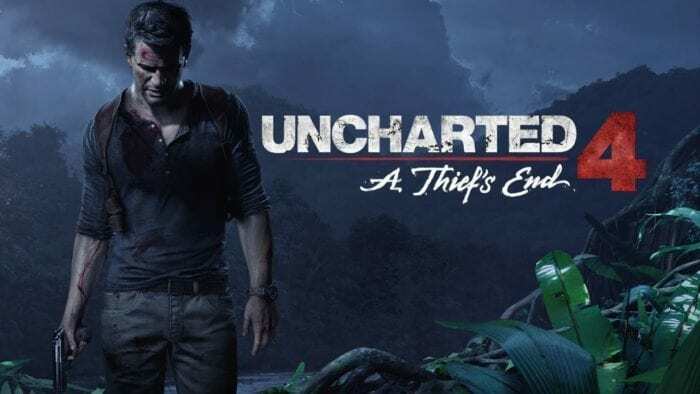 While technically sound and well put-together, it’s little more than a digital comic that doesn’t capture the replay value and engaging emotional tale of the first. The $9.99 price on Steam makes it pretty accessible, but I’m sad to say that I’d only recommend those who loved the first title should cough up the dough. Serves as a decent enough visual novel. Linear play with little player choice or interaction. No connection between each chapter’s story.